Our 32ft Roaring River Water Slide features a radical sliding angle that's sure to get the adrenaline pumping as riders scream down the 32ft Water Slide. At the bottom, riders continue thru the arches and finally land in the pool. 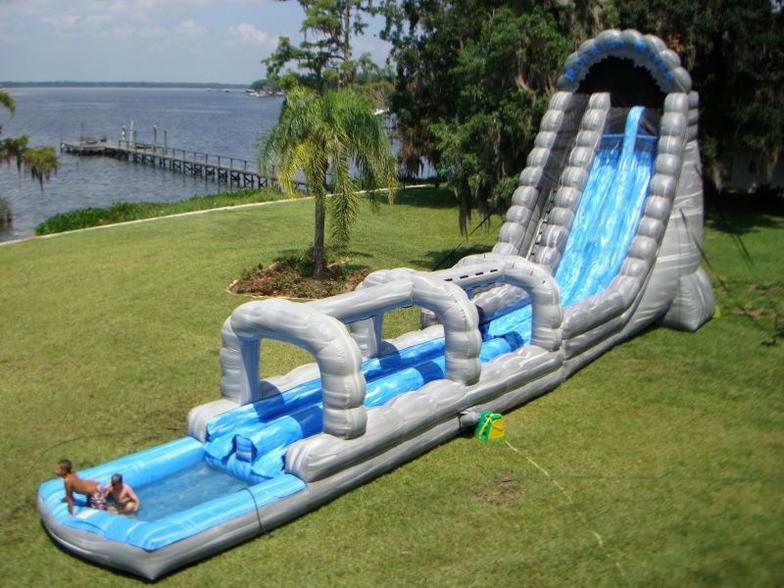 This inflatable water slide will blow your mind!